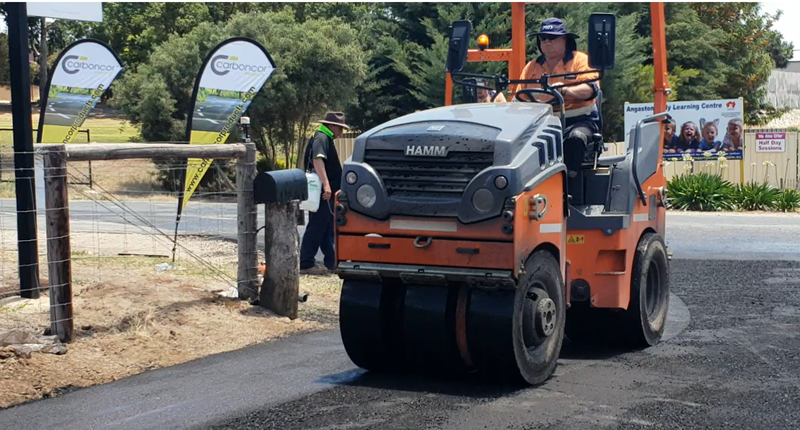 Carboncor Products Australia established in 2018, is a manufacturing concern with a focus on cold asphalt distribution. The achievement of technologically sound asphalt has enabled the company to achieve both market penetration into numerous countries and a financially viable share of these markets. The technology and service is critical in addressing today’s requirements as well as the innovation and foresight for tomorrow’s challenges. With a culture of continuous improvement, our approach of dedicated service to customers, fulfillment of commitments and quality without compromise has enabled Carboncor Cold Premix Asphalt to achieve its status as a quality cold asphalt with user friendly attributes in all climatic conditions. Our experience from tropical monsoon climatic conditions to climates where weather conditions regularly fall below freezing and snow fall is a regular occurrence bare testament to this bold statement. To address environmental concerns the lack of heat in the application process help Carboncor Cold Premix Asphalt to play its part in achieving a green foot print. Carboncor All Road Surfacing is used for new skid resistant road surfaces, or more heavy-duty resurfacing on existing asphalt, concrete and dirt roads. Carboncor All Road Surfacing is used for new skid resistant road surfaces, or more heavy-duty resurfacing on existing asphalt, concrete and dirt roads. Carboncor All Road Surfacing may be applied by labor intensive methods or through the use of conventional pavers. Carboncor Repair and Maintenance is used for the repair of potholes, new skid resistant road surfaces, or more heavy-duty resurfacing on existing asphalt, concrete and dirt roads.